Police have questioned two men after a seven-year-old boy was electrocuted to death in a pub garden. 'Wonderful little boy' Harvey Tyrrell died in the King Harold Pub in Harold Wood, near Romford, on September 11 last year. Officers and the paramedics were called to the scene on Station Road at 5.20pm, but Harvey was pronounced dead at an east London hospital one hour later. 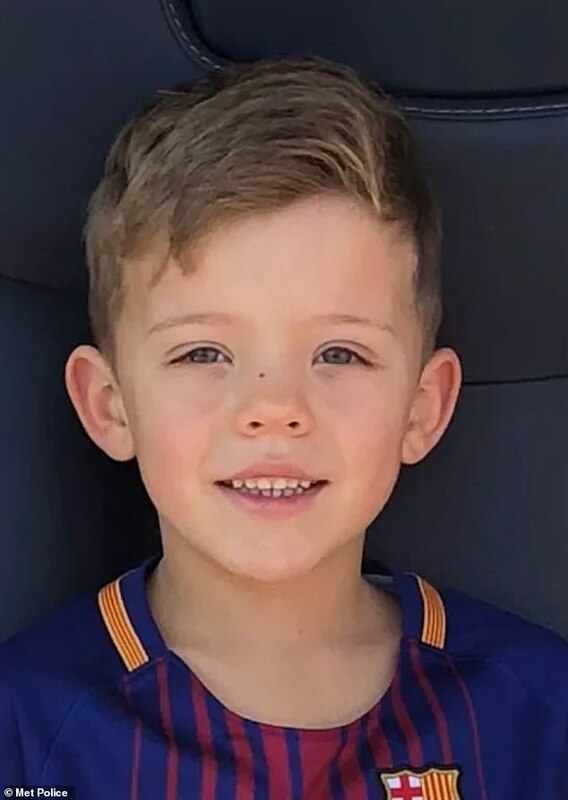 The Met Police today revealed that the child, who was described by relatives as 'the sweetest, kindest little boy' who 'loved his football', died from electrocution, and the force has quizzed two men, aged 70 and 72, over the incident. Both men were interviewed under caution and a file on the incident has been sent to the Crown Prosecution Service.